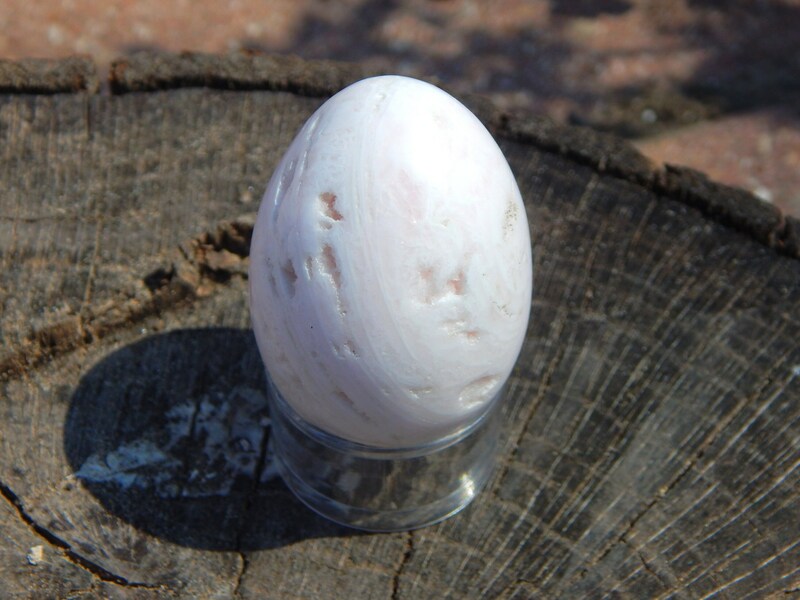 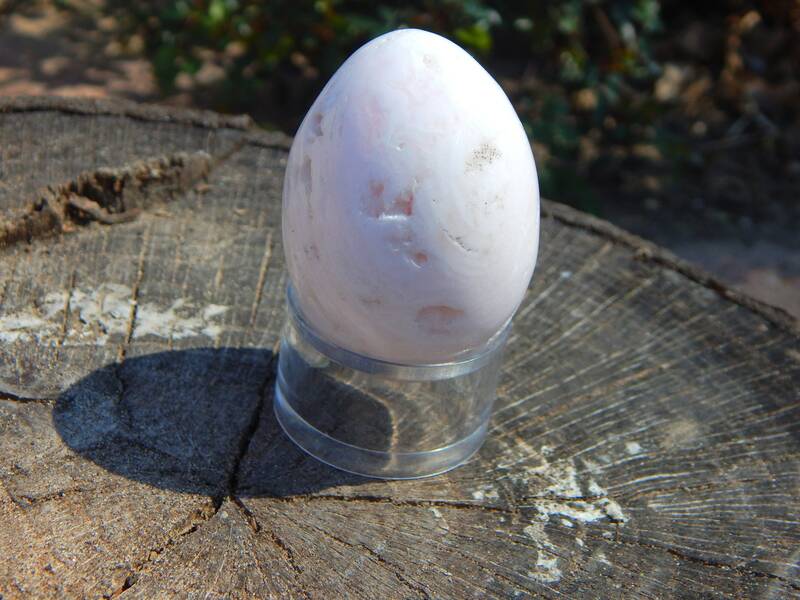 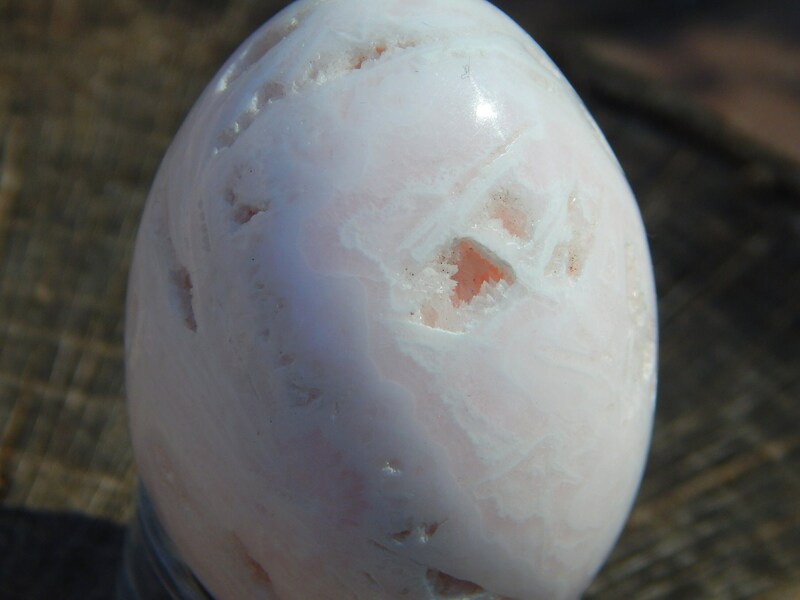 A beautiful Pink Mangano Calcite egg measuring 47 mm in diameter and weighing 2.7 oz. 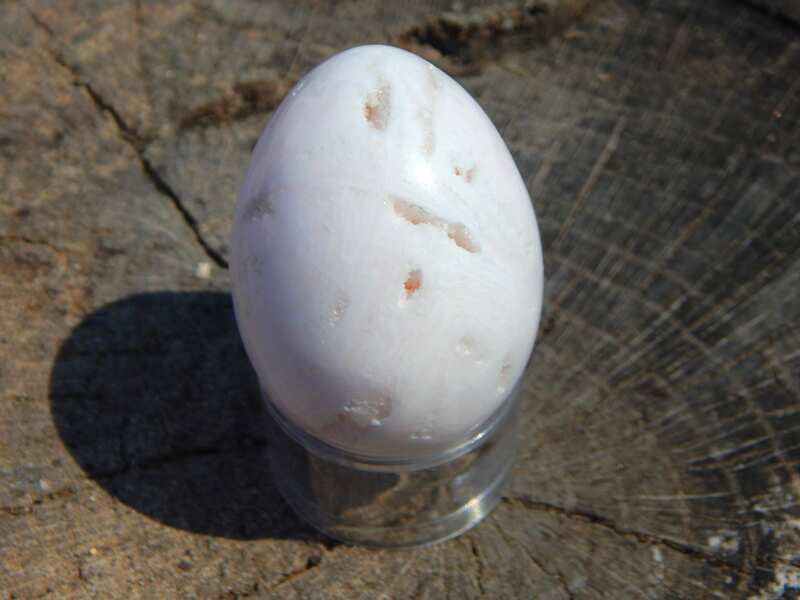 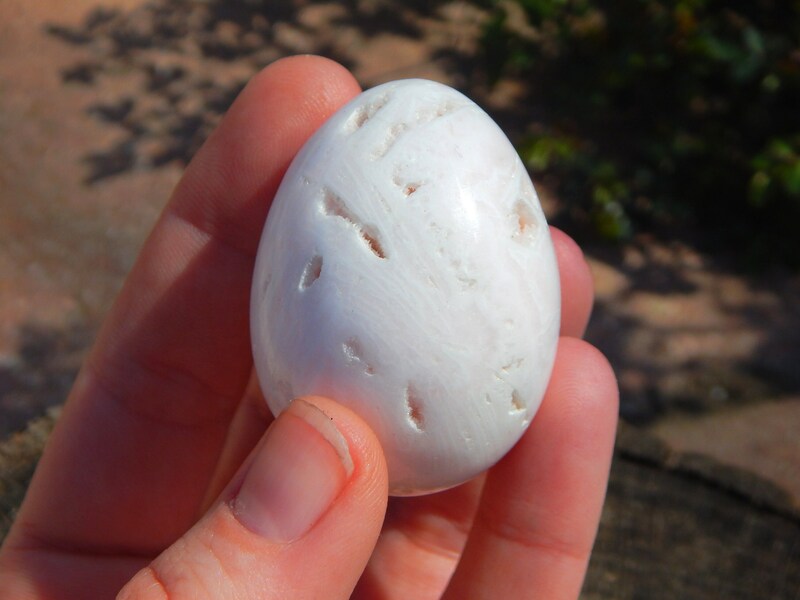 A perfect addition as an Altar decoration or reiki tool, this stone holds a calming and joyful influence in the household. 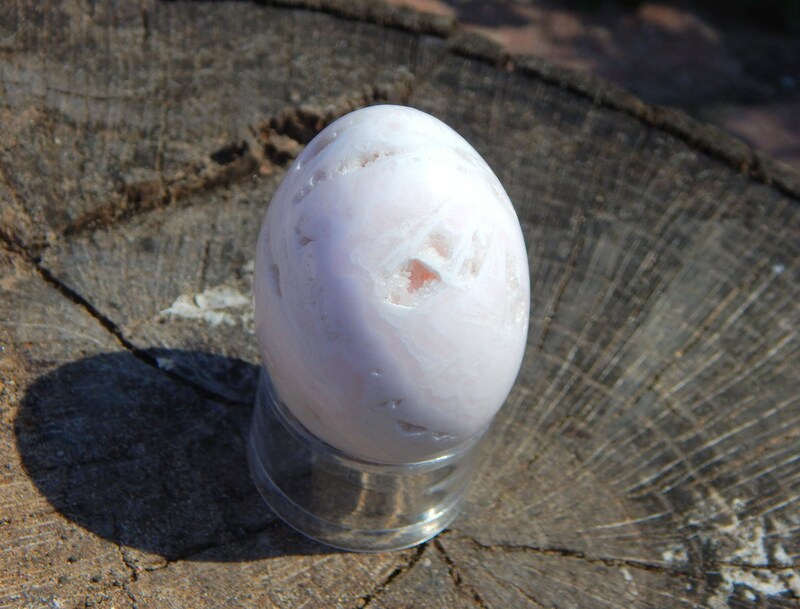 Comes with clear acrylic stand.